In giving thanks for a year filled with outstanding achievements KastKing® enters the Thanksgiving season by discounting KastKing® products across the board at Amazon.com. Garden City, Long Island, NY (October 17, 2015) — In a year marked by winning a coveted “Best of Show” product award at ICAST (International Convention of Allied Sportfishing Trades), the development, manufacturing, and introduction of dozens of new fishing tackle products, becoming a supplier to major sporting goods retail stores, partnering with other major companies, breaking company sales records, and surpassing their goals, KastKing® is showing thanks by slashing prices on its fishing reels and other fishing tackle items at Amazon.com. KastKing® manufactures fishing reels, fishing rods, and a variety of fishing lines. KastKing® is a division of Eposeidon, Inc. headquartered in Garden City, Long Island NY. “This is more than an ordinary sale,” says Tom Gahan marketing director at Eposeidon. “As we head into the beginning of the holiday shopping season, and the end of 2015, we realize how fortunate we were as a company to move so far forward in such a short time. KastKing® wanted to celebrate and show appreciation at a meaningful time – Thanksgiving. Moreover, we wanted to show thanks to our customers who helped put us on the map in 2015. Amazon.com was the best channel for us to run the program on. Amazon serves all areas of the U.S. and the e-commerce buying public well. U.S. customers can visit Amazon.com, enter KastKing® in the search bar, and scroll through page after page of KastKing® products with 5-star ratings and top reviews being offered at up to 50% discounts until November 30th 2015. KastKing® will introduce additional innovative products at affordable prices during the fourth quarter of 2015 and early 2016. “Because we are getting bigger; we are giving back more,” says Eposeidon CEO, Tate Cui. Eposeidon (http://www.eposeidon.com) brings a fresh, innovative approach to anglers by offering quality fishing tackle products at the best prices and no cost, or low cost shipping. Eposeidon’s goal is to exceed expectations through outstanding customer service and superior product value to their customers. Eposeidon is continually expanding its product lines, which include KastKing® fishing line, fishing reels, and fishing rods, MadBite fishing lures, KastKing® Ecooda Pro Series reels, and other fishing tackle products, to meet individual fishing equipment needs. Eposeidon is headquartered in Garden City, Long Island NY, USA and sells fishing tackle products in more than 140 countries. KastKing™ will donate all profits from the sale of KastKing™ Pink Braided Fishing Line during October to Breast Cancer Research and reward creative talents. 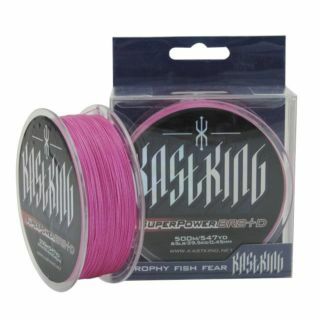 Hempstead, Long Island, NY (September 30, 2014) — During the month of October KastKing™ is donating 100% of profits from KastKing™ Pink Braided Fishing Line (http://www.eposeidon.com/braid-fishing-line) to breast cancer research. The Reel Men Fish Pink program challenges men to “spool it pink,” and initiate conversations with their male friends about supporting the women in their lives to be screened for breast cancer. 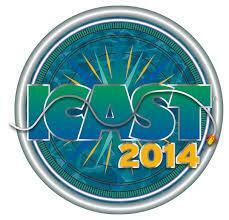 The KastKing™ fundraising program begins October 1 and runs until October 31, 2014. “We are reaching out to a few in the fishing community to spool up their fishing reels with pink braided line and have them use their social media channels to in turn challenge three or more others to do the same,” says Eposeidon Inc.’s Marketing Director Tom Gahan. “We’d like to see how big this fundraising effort can get. We feel that equally important to raising money is encouraging guys to be supportive of their gal’s health care issues and talking with them about getting a mammogram.” Eposeidon, Inc. is the parent company of KastKing™ brands. Braided fishing line is used for many fishing techniques in saltwater and freshwater. Pink is the official color for breast cancer awareness in October. Eposeidon will select five of the most creative, educational, or touching YouTube videos or Facebook stories that challenge others to participate. A dozen roses will be sent on behalf of the winners to the most important woman in their life. A woman currently living in the U.S. has a 12 percent, or 1 in 8, lifetime risk of being diagnosed with breast cancer – compared to a 1 in 11 risk in the 1970s. Women diagnosed at early stages of breast cancer have a higher five-year relative survival rate. According to the American Cancer Society, the five-year relative survival ranges from 99 percent for localized disease (confined to the breast) to 25 percent for distant-stage disease (spread to other organs). The money being donated will go towards breast cancer research and to help women without health insurance to get free mammogram. KastKing, a division of Eposeidon Outdoor Adventure, Inc. has created a line of specific use fishing rods that bring innovation and technology to fishing tackle. Hempstead, Long Island, NY (August 25, 2014) — Eposeidon‘s KastKing™ division that sells high-quality economically priced fishing reels and fishing line has added fishing rods to their product lineup. KastKing™ will offer 23 models made for freshwater techniques and kayak fishing. Their bass fishing rod line carries the name Perigee, named after the positioning of the moon when fish are most active, and Phantom for KastKing’s™ patent-pending kayak rod series. KastKing™ has designed and manufactured spinning and baitcasting rods in the Perigee line for specific bass fishing techniques such as: crankbait, flipping/C-rig, topwater, frogging and punching, jerkbait, and drop-shot/shakey head. There are also KastKing™ Perigee multipurpose spinning and baitcasting rods for a variety of species and techniques. 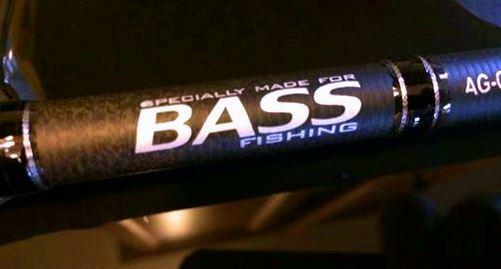 In addition, KastKing™ has created a rod specifically for kayak fishing. It was designed after input and months of testing by kayak anglers in freshwater and saltwater. Eposeidon will be offering a special pre-release discount on Perigee and Phantom rods at the beginning of September. Pre-release ordering details will be available at http://www.eposeidon.com at that time. Customers who place a pre-release order will have their rods shipped out after arriving in Eposeidon’s warehouses in mid-September. Once the KastKing™ rods are in inventory, the regular retail price of $79.95 will apply. 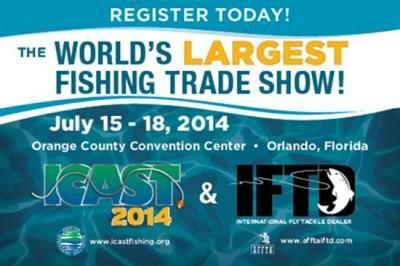 “An excellent multi functioning rod for jigging for bottom dwellers or casting for predators. In a kayak, rod selection is so important since you can only bring a few, but these rods give you the ability to have a multi-species day with just one pole,” commented Elias Vaisberg, who competes in fishing competition internationally and has won the Jamaica Bay Kayak Fishing Classic in 2013 and 2014 that has hundreds of competitors. 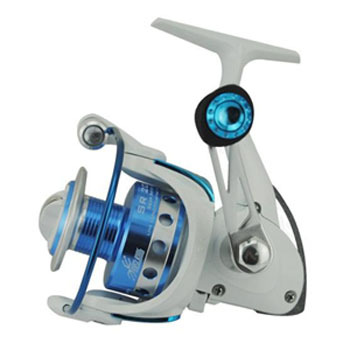 KastKing™ SR Pro Lite fishing reel with high performance features is targeted at entry-level market. 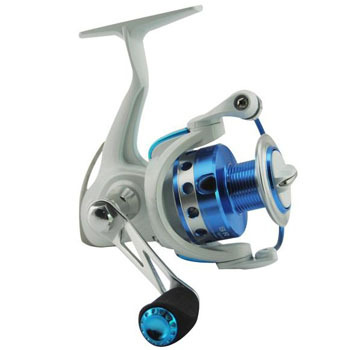 Hempstead, NY, USA (May 21, 2014) — Eposeidon Outdoor Adventure, Inc. has introduced a new line of fishing reels with the entry level angler in mind, the KastKing™ SR Pro Lite spinning reel series. Priced below $39.00 retail, the KastKing™ SR Pro Lite spinning reels can meet the demands of anglers at any level from beginner to veteran. At any stage of fishing know-how the SR will appeal to those who are budget conscious. Eposeidon has targeted an audience that is looking for exceptional value in a larger reel that offers quality features in an affordable price range. The KastKing™ SR Pro Lite spinning reels feature a tough, corrosion proof, light weight narrow graphite frame design, nine stainless steel ball bearings with an instant stop one-way anti-reverse, and an ultra-smooth SDS Superior Drag System, which offers incredible stopping power. The KastKing™ SR Pro Lite spinning reels have durable steel, perfect mesh drive gears and precision machined pinion gears and a CNC machined aluminum interchangeable handle for fish fighting power. Its high strength anodized aluminum spool with a computer designed lip for farther holds more line than competitor’s models that sell at retail for a much higher price. KastKing™ SR’s nonslip oversized handle drives directly through its main gear. The KastKing™ SR comes in 4 models; SR2000 with a 5:2.1 gear ratio weighing 9 ounces/ 255 grams and delivering 9 lbs./ 4.1 kg. of drag, SR3000 also with a 5:2.1 ratio at 9.1 ounces/ 258 grams has 15 pounds/ 6.8 kg. of drag, SR4000 9.6 ounces/ 272 grams 4:8.1 gear ratio and 20 pounds/ 9.1 kg. of drag, and SR5000 at 9.8 ounces/ 278 grams also has a 4:8.1 gear ration and 20 pounds / 9.1 kg. of drag. All KastKing™ SR Pro Lite spinning reels come fitted with a two-color anodized aluminum spool and are approved for saltwater use. 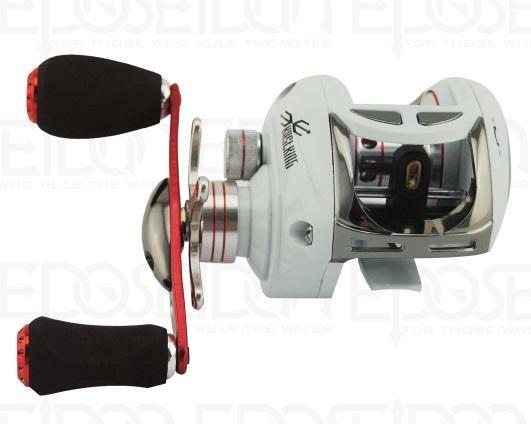 For more about KastKing™ SR Pro Lite spinning reels and other Eposeidon products please visit http://www.eposeidon.com. Deep water cranking power and fishing comfort are key features of this new series reel from KastKing™. Hempstead, NY, USA (April 29, 2014) — KastKing™ a division of Eposeidon Outdoor Adventure, Inc. announces they have added a new specialty category baitcasting fishing reel, the KastKing™ WhiteMax, to their product lineup. 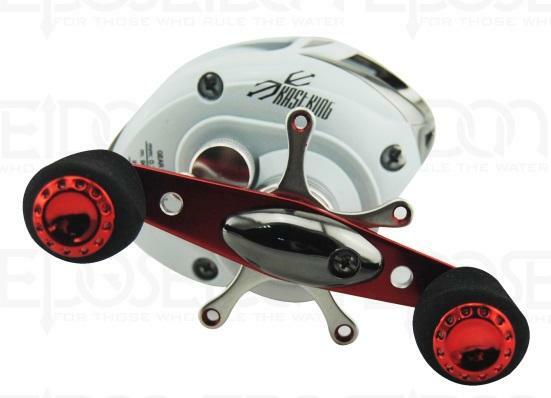 KastKing’s™ WhiteMax Low Profile reel offers lighter weight for a more enjoyable fishing experience. Housed within its low profile, graphite frame weighing only 7.7 ounce/ 218 grams is a powerful 5.1:1 precision cut gear ratio package. This lower gearing provides more torque and requires less cranking effort. WhiteMax’s light weight combined with a low gear ratio is less tiring for the angler. Each KastKing™ WhiteMax has an impressive array of 9 stainless steel ball bearings and 1 instant anti-reverse roller bearing along with 10 lbs. / 4.5 Kg of drag and a 10 lb./ 100 yd. (0.33 mm/ 90m) cross-drilled, anodized forged aluminum spool that brings smoothness, stopping power, and ample line capacity to the battle with aggressive game fish. The KastKing™ White Max’s precision brake system with side-plate adjustment can be matched to any conditions for accurate backlash-free casts. A soft-touch thumb bar spool release and twin EVA foam grips further reduce fatigue. 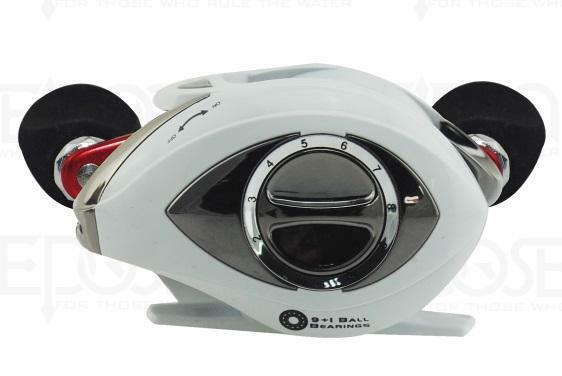 KastKing™ WhiteMax low profile baitcasting fishing reels are available at http://www.eposeidon.com. Eposeidon is an e-commerce company (Eposeidon Outdoor Adventure, Inc.) that brings a fresh, innovative approach to anglers by offering quality products at the best prices and no cost, or low cost shipping. Eposeidon’s goal is to exceed expectations through outstanding customer service and superior product value to their customers. Eposeidon is continually expanding its product lines to meet individual fishing equipment needs. Eposeidon is headquartered in Hempstead, NY, USA and sells fishing tackle products globally.